The country deserves a democratic and peaceful environment.From what I read and heard I got the impression lack of unity among the educated is the major obstacle in the path of a country like Pakistan.Everyone seems to think it's their way or the highway. In my life I've always felt that politics is the filthiest thing.I have listened to Fatima Bhutto for hours on TV. She is a very bright young lady from whom much can be learned.It does not matter what her last name is.She knows Pakistan's history,she knows where the problem lies.No one seems to give her any credit.Why have Pakistanis agreed to have their country attacked by drones.They have killed way more women and children than the so called terrorists. It is time for the country to wake up and stop latching on to countries that are more their enemies than friends.As long as the citizens bow down and take quietly what is thrown at them, the turmoil will continue. I am immediately struck with a particular point from this post. Belief that improvement is possible, and that evolution out of a sorrowful state can occur, is essential. This is essential not only for personal development, but for social improvement as well. "We deserve better" can, thus, be a thought-catalyst for fresh growth to happen. I seem to get stuck on this point in many Iqbal discussions. I come back to how to get a society to overcome a seeming addiction to "the way things are." At the root of this addiction is the seeming lack of belief in the potential of the human being to be something greater this moment than s/he was a moment ago. Thank you for this round up of the elections. It seriously was a diappointment and dampened my joy for the day. Indeed, the normal environment of the day was festive but due to some people the charm, spirit of the day ruined. @Robert: do you know, I also was stuck at this point and it made me think of so many other aspects behind this dream/urge/thought. couldnt agree with you more on this. personally i feel that a lot of people are determined to ridicule the very idea that some people have chosen PTI. we deserve better, without a doubt. and the series of protest will eventually go down in our history and be a sign that people did not want to settle for less than what they deserve. thank you for this article...I've been meaning to ask your view about this election and its results based on some of your posts comparing Pakistan to Marghdeen and that we are on our way to a 'meliorist' future for our country. Personally I was really enthusiastic about this election because of the hope that we CAN have better, I really believed we could have Marghdeen in the making under a good and truly democratic government. Needless to say I was disappointed beyond words at the way the election results were manipulated by some major political parties. I think Pakistan as potential Marghdeen was defeated by age -old currupt system, I hope you know that Imran Khan held that his party would restore 'Iqbal's Pakistan' and he proposed making Iqbal studies compulsory in education. How do you see the election fever, the post election situation and the general trend of our collective will? Do you think we should protest against rigging? or just accept the results and wait for the same fate to fall us in the next elections? From the concluding lines "If one political party can rely on purely legal means for securing a considerable share in the national assembly and a sweeping victory in a turbulent and traditionally backward province, why others cannot do the same? ", it appears that you are writing pro-PTI. I totally disagree that PTI relied on "purely legal means". All parties including PTI used all possible unfair means in the current elections. Secondly, how I am watching the results of this election is what Khrram Shafiq had said in 2008 (Pakistan: Next 20 years - 2017 to 2026) "it may seem as if the idea of Pakistan as conceived in the Lahore Resolution of 1940 has become irrelevant in some ways if not all." 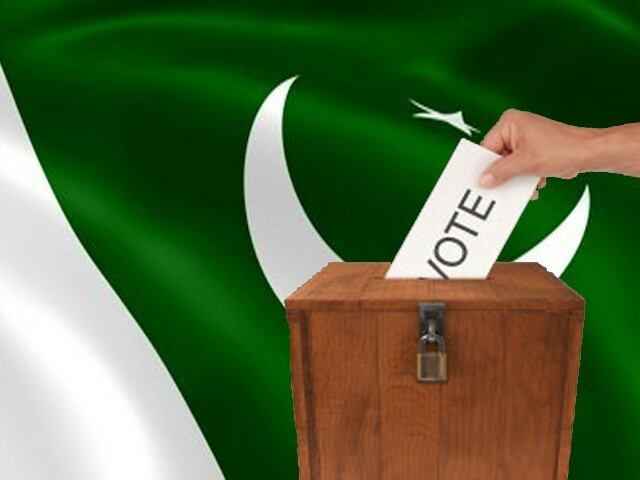 The time started from this election that separate parties will govern the autonomous units (provinces, Gilgit/Baltistan, AJK),they have their diverse financial and political interests. Finally, before end of this term of five years, apparently, there will be a worse period for Pakistan than today. Thirdly, USA occupied Afghanistan in 2001-2 and they needed a government in KPK (then NWFP) which could welcome the terrorists coming from Afghanistan to Pakistan, so, MMA formed the Government there, terrorists came here with the label of Taliban (though they were not Taliban who governed Afghanistan and established peace there). Then they needed a government friendly with Hamid Karzi, so, ANP won 2008 elections there. Now, since the USA has to leave the area, they need a government which will facilitate them for earliest exit i.e. PTI who claim that they will kick off USA from their land and they need a government in KPK which is not pro-Taliban i.e. Jamat-e-Islami who will support Gulbadin Hikmat Yar's Hizb-e-Islami to won next elections in Afghanistan enabling USA to say that Taliban are defeated. I think the statement "The first so-called elected government in Pakistan to complete its tenure was the PPP regime of Zulfikar Ali Bhutto in 1977." is not historically correct. The said assembly which was to complete its term on 11-Apr-1977 was dissolved by the President on advice of the Prime Minister on 7-Jan-1977 i.e. a few months earlier. Constitutionally speaking, the Government of Nawaz Sharif was also ended in the same was in 1993 when the President dissolved the National Assembly on advice of the Prime Minister using same constitutional provisions. Historically, the first National Assembly that completed its five years full term was the 12th National Assembly (2002-7) which completed its 5 years term and the last assembly (2008-13) was the second in the line.